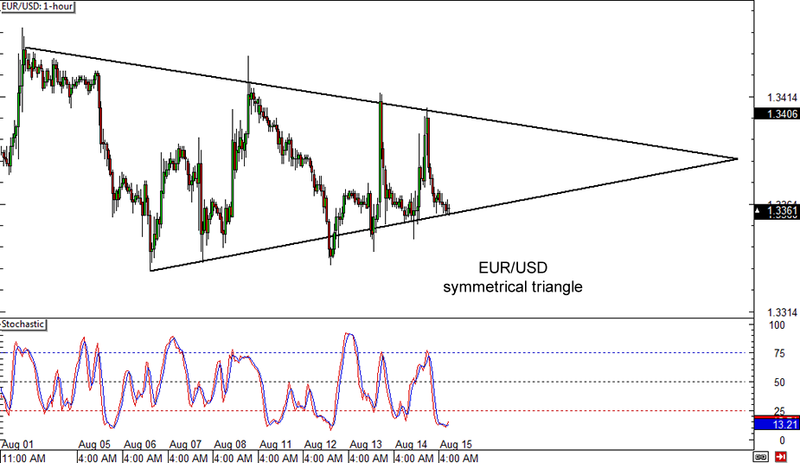 Still can’t up your mind, EUR/USD? The pair has been forming higher lows and lower highs, creating a symmetrical triangle chart pattern on its 1-hour forex chart. Price appears to be testing the triangle support at the moment, with a potential downside break likely to indicate the start of a downtrend. Take note that the chart pattern is more than a hundred pips in height, which means that the drop could be of the same size. On the other hand, a bounce could take price back up to the triangle resistance, as stochastic has already reached the overbought area. If you missed the Cable breakdown, don’t fret! You could still have a shot at catching the pullback if price retraces to the Fib levels marked on the 1-hour time frame. In particular, the 61.8% level lines up with a former support zone around the 1.6775 area, which might act as resistance from now on. A shallow retracement might last until the 38.2% to 50% levels, as the latter lines up with the 1.6750 minor psychological handle. Stochastic looks poised to head lower though, indicating that bears are still in control. If the pair is eager to head south, a break below those previous lows might be in the cards. 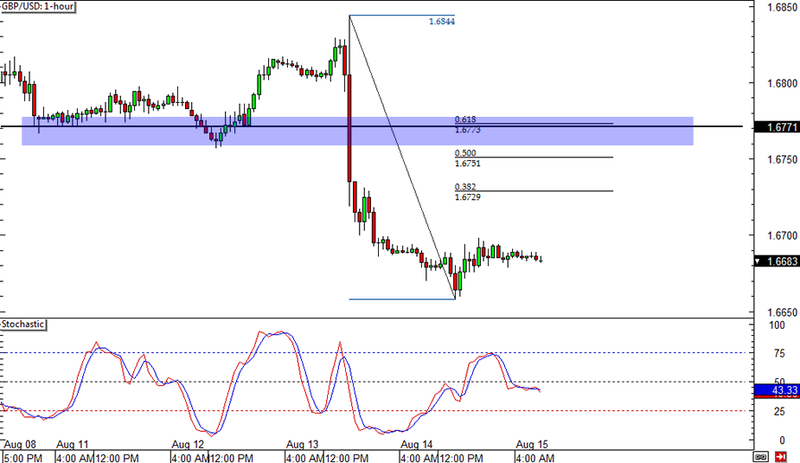 Time for a reversal on USD/CHF? As I’ve mentioned a few days back, price made a double top and tried to break lower. 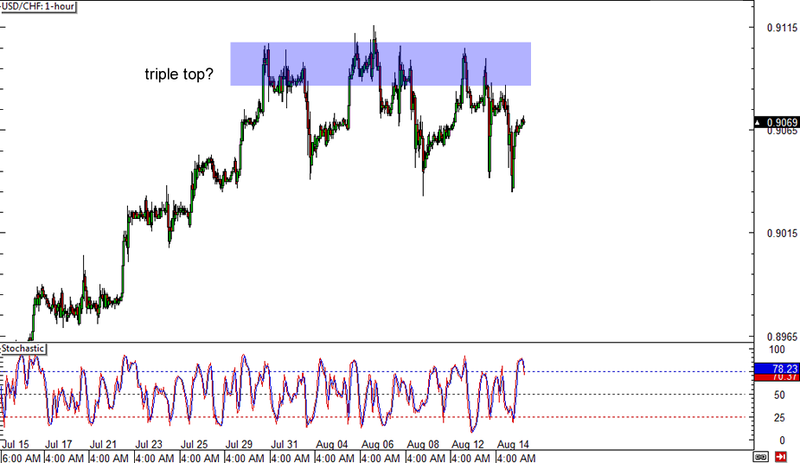 However, another top has formed recently, as price is still a bit hesitant to move south. Stochastic is indicating overbought conditions, which suggests that the triple top pattern could still play out. A strong break below the pattern’s neckline around the .9025 levels might be enough to confirm that a reversal is in the cards but another test of the resistance near .9115 could be a sign that a range is forming.